Sales revenue during the year was $7.7 billion. 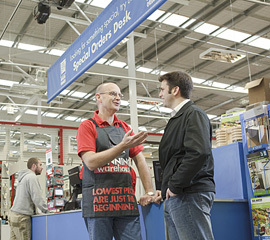 As at 30 June 2013 there were 210 warehouse, 67 smaller format stores, 37 trade centres and four frame and truss centres operating across Australia and New Zealand. At 30 June 2013 we employed 33,000 team members.